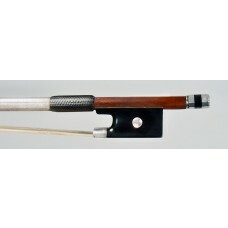 A fine French violin bow silver mounted, by Louis Morizot father (père). 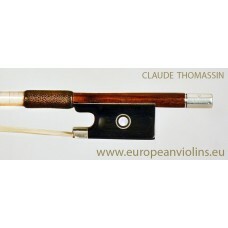 A very nice authentic French silver mounted master violin bow made by Louis Morizot (père) - ca 1930. This is a fantastic bow ! 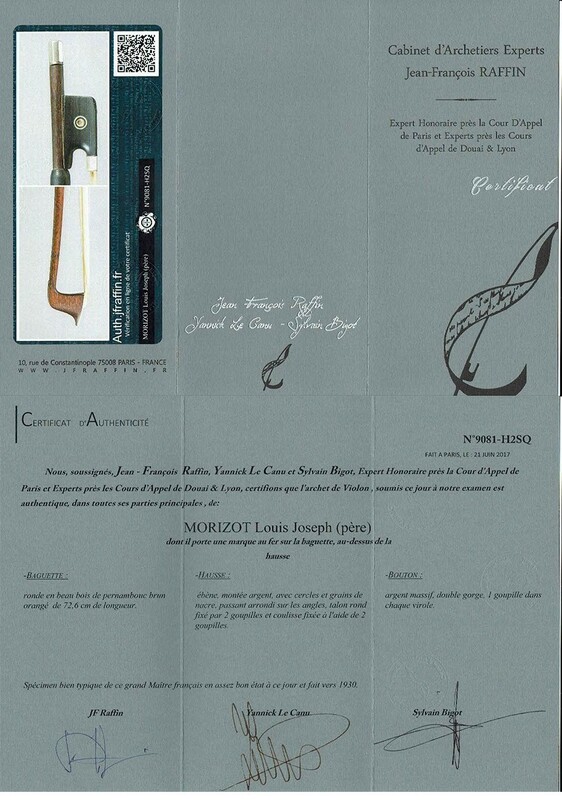 The bow bears the original Morizot brand stamp on the stick. The beautiful dark brown pernambuco stick, is round shaped - with a refined elegant design and a good balance. 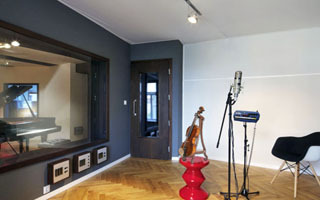 The length of the stick is around 72.6 cm and the weight of the bow is around 60.5 gr. silver adjuster. 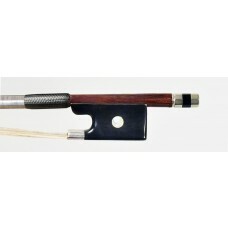 The bow has little professional adjustments done in the past but is in a general good playing condition. 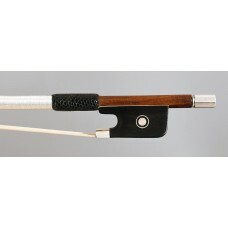 This Morizot violin bows feels very comfortable in the hand, its responds fast and produces a strong violin tone.